Good day, my name is James Kerr and I represent Red Roo Sales and Service. Today, I'm going to talk to you a little bit about a couple of products that we have on offer for the Hire and Rental industry, especially with Kennards. 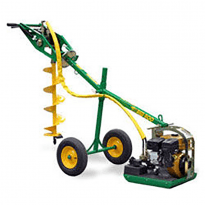 This is your SG30TRX Dedicated Track Stump Grinder. 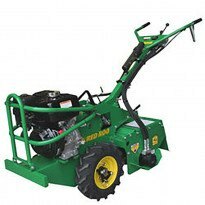 This unit has a 31horse Briggs & Stratton vanguard, it's got a sweep of about 2.4 meters, can do about 350 to 400 millimetres in the ground, it’s all hydraulic driven and it's a new product that has just been introduced into Kennards over the last two to three years. So, if you’ve got a stump to do and you want to do it quicker, then consider the SG30TRX. If you're interested in hiring this particular piece of equipment, check us out at Kennards Hire. 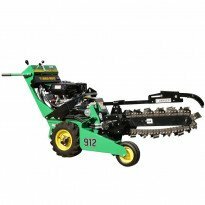 Designed for optimum productivity, self propelled trenching machines simplify the task of laying pipes, conduit and irrigation hose. Ideal for narrow access applications. This unit will trench up to 550 mm per pass. 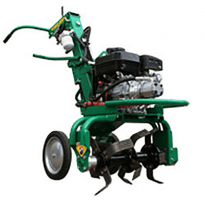 Light duty cultivator for establishing garden beds and lawns, ideal for soft or sandy soil. A tough, manoeuvrable, petrol powered tool for boring up to 360mm diameter holes for piers, fence and retaining wall posts, effortlessly with only one person. 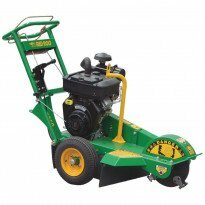 A tough, walk behind, petrol powered machine ideal for one person to break up hard soil and clay for initial lawn and garden preparation. Undercut unsightly or dangerous tree stumps and roots to below ground level. A high performance machine featuring tungsten carbide cutters for fast results. Grinds 300mm high stumps to 250mm below ground.